When you understand the searches your buyers are doing in Google, you can use this info to plan your content. This research will help you to map out the content you need to get found by your buyers. It's worth noting that people do different types of search as they narrow down their choices. Somebody starting out looking for online lead generation software might search 'lead generation'. To understand more about what lead generation is all about. Then as they narrow down what they want, they might search 'online lead generation software for small business'. The more specific the search term. The higher the purchase intent. It's also important to understand the distinction between 'informational' and 'commercial' search phrases. Commercial keywords are the ones that are used when your prospects intend to buy. 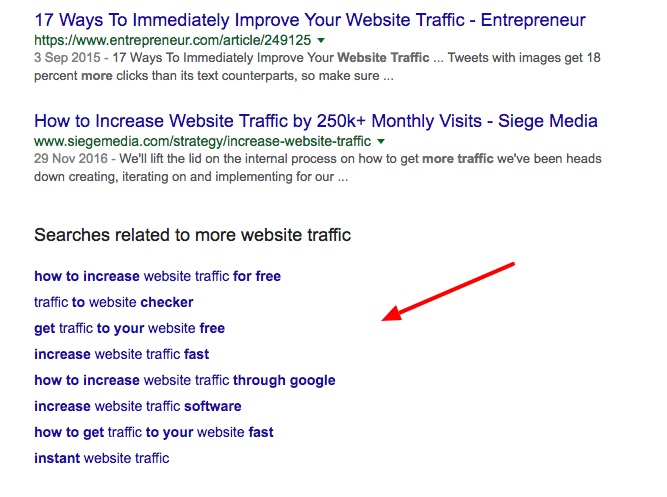 In the above example, someone looking for 'free traffic' isn't looking to purchase. But 'get traffic', 'drive traffic to website', 'increase traffic to website' etc. have purchase intent. 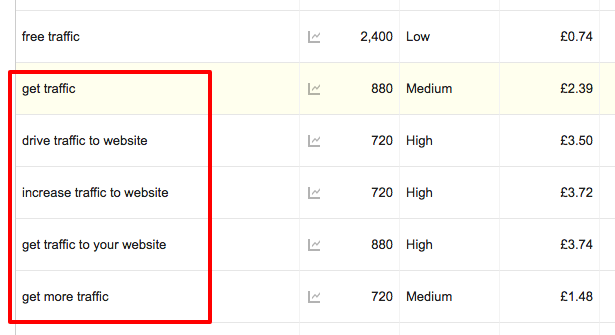 Another great place to find the searches your prospects are doing is Google's related search options. At the bottom of your search results page. Writing articles for your blog that answer the search questions your prospects have is a smart way to attract buyers. It's a key content marketing technique. And a process that will help you to position yourself as an authority in your field. The good content that you build up will also provide ammunition for your social media activity. As you begin to build up more qualified web traffic for your topics, think about how you can convert these visitors into leads. If you don't catch them while they are on your website with a great offer, they'll leave. And 98% of your visitors will never return. It's only by trading up visitors with a great marketing offer that you can start to develop your relationship with them. And nurture them into customers. 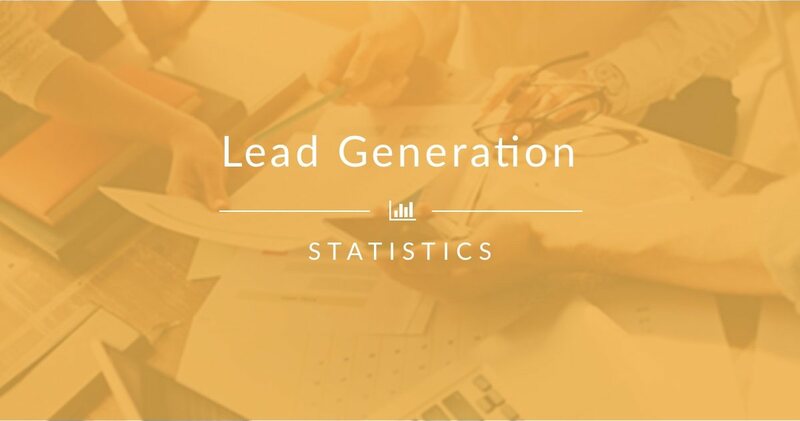 Lead generation is important for your business because the traditional buying process has dramatically changed and therefore, requires your business to stimulate interest in your products or services across the customer pipeline. With the popularity of this technique growing particularly among B2B Marketers, this ebook will help to you develop an informed viewpoint on the technology and its uses. Nurtured leads produce a 20% increase in sales opportunities and businesses who nurture leads make 50% more sales at a cost 33% less than non-nurtured prospects. Find out more about how businesses are generating leads, what's working and what's not. Even before they have converted on a form or landing page many website visitors can be identified to the level of their organisation by analysing their IP address, providing valuable sales enablement intelligence. When a visitor to your website gives you their name and email address they become a lead for your business. Unfortunately people don't give you their contact details for nothing, there has to be some sort of value exchange such as a content download or access to a webinar. Jumplead allows you identify the Twitter conversations that are important to you, whether people are talking about your company, your products or looking for advice in your marketplace. Live chat has the benefit of being immediate and easy to use, it's a mechanism that encourages people to interact (even when they might not be bothered to search out your contact form) driving an increased volume of leads.